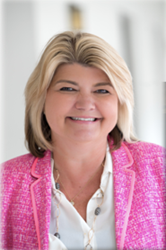 Sandy Carter is a rock star in the tech world and an authority on innovation, making her the perfect choice to keynote WiCConnect Austin. Women in the Channel (WiC), a not-for-profit organization dedicated to accelerating the growth of female channel leaders in technology, announced today that Sandy Carter, vice president of Amazon Web Services, will deliver the keynote address at its 14th Women in the Channel WiCConnect Networking Event, from 5-8 p.m., September 25, in Austin during Channel Partners Evolution. Carter is the vice president of Amazon Web Services focused on enterprise workloads like Microsoft and helping companies with innovation and technology. Carter is a best-selling author, having published her fifth book, “Extreme Innovation: Three Superpowers for Purpose and Profit,” built on her revolutionary research with Carnegie Mellon SV. Carter was named a Top 3 Innovation Influencer at SXSW in 2017, Top 5 Social Influencer at Social Media World in 2017, Top 4 Bot Influencer by BotsCamp in 2017, Digital Influencer in 2016 by Forbes, a Social Media Legend, Top 10 Women in Technology by CNN, and top 100 Influencer in AI, IoT, and Social Business by Onalytica. Carter also is a believer in giving back. She is the chairman of the board of Girls in Tech. She was honored twice with the AIT United Nations Member of the Year award for helping developing countries with technology. And, she is an adviser to startups in AI, IoT and AR/VR. WiCConnect is supported by the generosity of the following companies: Diamond Sponsors Channel Partners, MicroCorp and Telarus; Gold Sponsor RingCentral; Silver Sponsors AireSpring; Broadvoice, Fusion, GENBAND, Granite, iAgent Network, NetCarrier, Telstra and TPx Communications; and table sponsors Advantage and vMOX. WiC’s Channel Partners Evolution event planning committee includes, Chair: Raquel Wiley, TPx Communications & WiC Board; Co-Chair: Shaquille Fontenot, CNSG; Su Beler, Telecom Brokers; Laura Bella, NetCarrier; Robin Clisso, Quality Uptime; Debbie Grasso, Telestax; Khali Henderson, BuzzTheory Strategies & WiC Board; Shilo Lusson, BuzzTheory Strategies; Nancy Ridge, Telecom Brokers; Rebecca Rosen, ShoreTel & WiC Board; Cathe Shande, Effortless Office; Neila Smith, Quality Uptime.